3D beautiful butterfly on this cake has made it ravishing. This delectable cake is baked to perfection with finest ingredients used. 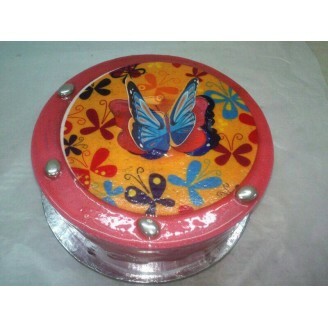 This cake is available in four flavor(strawberry, Vanilla, Butterscotch, Pineapple). Total weight of the cake is 1 Kg.